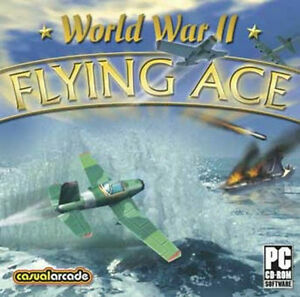 WWII Flying Ace Fight the enemy in the air and on the sea! The Allies have discovered the secret sea lanes the enemy uses to deliver strategic cargos to distant battlefields. As an ace fighter pilot, it's up to you to target and destroy the enemy transports. You wield an agile aircraft, armed with anti-ship torpedo missiles and two rapid-fire machine guns. 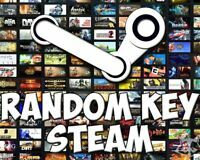 installs on windows 10 64bit, but will not play. Will not install on windows 7 64bit. I am sure this game will play on windows XP I already owned a copy from (2001). its a great arcade game, I was hoping it was re-mastered to play on windows 7,10,like stated. Nice product, good value for the money. It was relatively inexpensive. I wanted a arcade game to play for 30 or 40 minuted at a time and this game fills the bill. It's not complicated to play and it plays exactly like the bid page says. I've played some games that took a long time to learn how to play and it seems the more complicated the game is the more problems you have trying to play it. The game does not fuction well. I didn't want that type of experience.